Just simple as the new iPad call "The New iPad"
Yeah.. it sound kinda stupid.... imagine that you walk in the store say "I want to buy an iPad" and the store keeper ask you back "You want a the new iPad or the iPad 2?'" Doesn't it sound making people the confusing?? iPad, iPad 2 and the new iPad..... crap...Apple got no name already ka? So if new year is call Not The Old iPad lah??? By looking the name they give for the new iPad The New iPad... I feel like this is the last iPad of iPad liao. 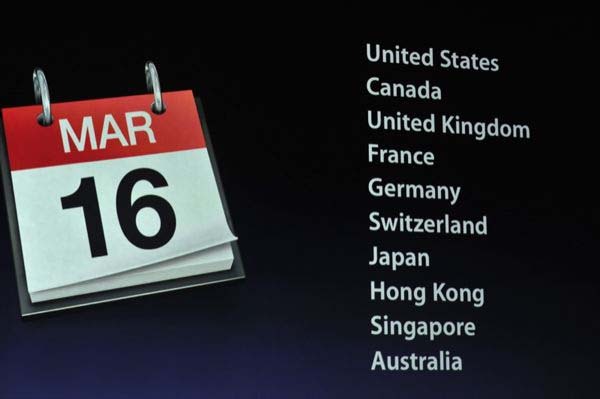 It make me think that they going to make a new gadget next year but no more iPad sudah! iPad market looks like already go to then bottle neck now! 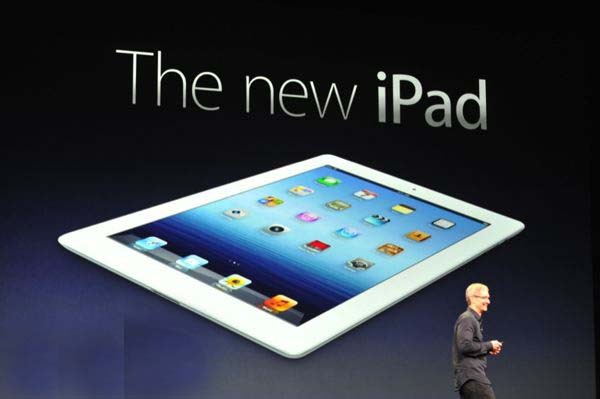 Anyway... this are the new iPad "The New iPad" and I think is the last iPad. The New iPad come with some new feature compare the iPad 2, Retina Display 2084x1536, A5x processor quad core graphics , camera 5 megapixel sensor, HD video recording, Video stabilization, Siri with Japanese, German, England, Australia slang, 4G LTE (next generation wireless) and many more! I just list out some saja the rest better you watch the video tomorrow in the Apple's website lah! got start selling it..... Awesome right!! So this time we not need to wait for so long and not need let the mobile shop earn extra for that!!! Don't forget to download iOS 5.1 today!! !